Hello, My dear, I hope everyone is busy in all party celebrations, but me here!!! Yes, of course, My last project of the year for taking part in Prima PPP challenge, I managed to make it by today, but totally out my comfort zone. 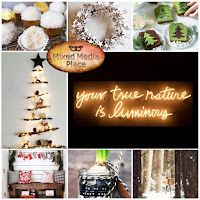 I could not resist not making any project seeing the beautiful mood board this month. Just have a peep into the project, some Christmassy, wintery and welcoming the new year with its colors inspired by the mood board colors. Pictures didn't justify the work according to me may be due to the bad weather or some other reason!!!! !, but still, I don't want to take back step to take part in the challenges. Entering the following challenges, hope for the best!!! Beautiful canvas! Great textures and layers! Thank you so much for joining us at Scrap Africa! 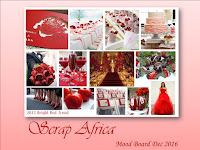 Festive, vivid and so beautiful...Love it...Thank you for joining us both in MMP and Scrap Africa. wow wow wow again Amazing creation thanks for playing at Mixed Media Place challenge !! !